Have a question for Namisum Riverside Pension? 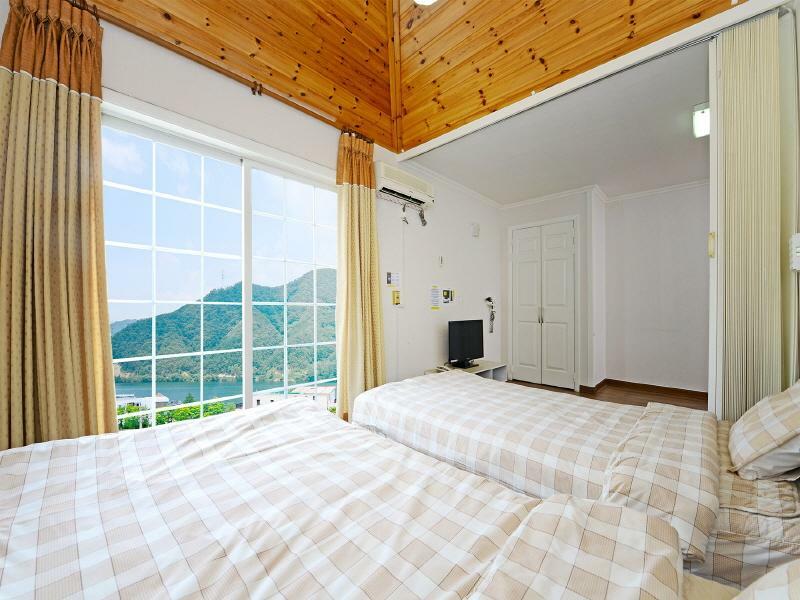 Well-positioned in Gapyeong-eup, Namisum Riverside Pension is the ideal point of departure for your excursions in Gapyeong-gun. The hotel is not too far from the city center: just away, and it normally takes about minutes to reach the airport. This modern hotel is in the vicinity of popular city attractions such as Petite France, Myumijae Gallery House, CheongShim Peace World Center. Offering hotel guests superior services and a broad range of amenities, Namisum Riverside Pension is committed to ensuring that your stay is as comfortable as possible. For the comfort and convenience of guests, the hotel offers free Wi-Fi in all rooms, luggage storage, Wi-Fi in public areas, concierge. Guests can choose from 106 rooms, all of which exude an atmosphere of total peace and harmony. Besides, the hotel's host of recreational offerings ensures you have plenty to do during your stay. Whatever your purpose of visit, Namisum Riverside Pension is an excellent choice for your stay in Gapyeong-gun. 겨울인데 우풍이심하여 옷을 벗을수 없었다 샤워하다가 감기 들뻔 했다 추워서.더운물이아니라 미지근한물!!!! 수건이랑 휴지도없었다. 이런시설로 어떻게 손님을 받는지 이해를 할수없다. 곰팡이가 피어 있는 티비 받침대를 보고 실망했고 우려했던 온수는 잘 나왔으나 샤워기 해드가 낡아서 더러웠으며 시설만족도 대기 가격이 높았습니다. 200여명의 단체 손님이 우선이라고 취사를 하지 못하게 하였으며 직원이 매우 불친절하고 다른 투숙객들과 싸움을 하였슴.